← Sewing for Tweens with Fat Quarters! I’ve gained a new appreciation for irons after picking up a few for my mantel. Did you know that thousand year old paintings have documented the Chinese using metal pans filled with hot coals to smooth and prepare silk? Irons got their name because they were mainly made from the metal iron. Flat Irons or Sad Irons were heavy, simple shapes often weighing 5 – 9 pounds. They were hot to handle, had to be reheated often, and collected soot from the fireplace. Although using these irons was difficult at best, the name Sad Iron comes from Old English meaning heavy not because of the way they made women feel. The 1800’s saw new innovations in an effort to improve on the Sad Iron’s flaws. Box Irons came with slugs that could be heated in the fire then inserted inside the iron and Self-heating irons could be filled with coal. Self heating irons are still being produced and used in many countries today. In 1871, a then 19 year old Mrs. Potts patented the Cold Handle Sad Iron. The simple idea of a removable handle revolutionized the iron industry. In 1882, Henry Seeley patented the first electric iron. Since most households lacked electricity, these were far from a “hot” item at the time. By the late 1800’s, irons were being fueled by kerosene, ethanol (alcohol), and natural gas. If that description doesn’t scare you, take a look at the photo below. Yipes!! All that hard work made the arms tired, and hot irons needed a place to rest. 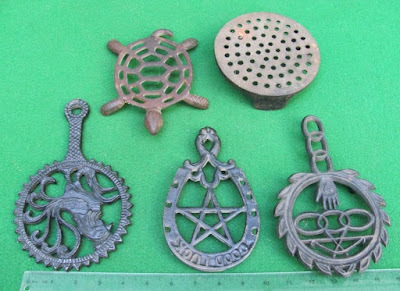 Trivets were originally hand wrought by blacksmiths and later mass produced by casting. They were both functional and decorative. Today the “hot topic” is traveling with our irons. Our biggest worry is how to get that iron to and from classes and retreats. 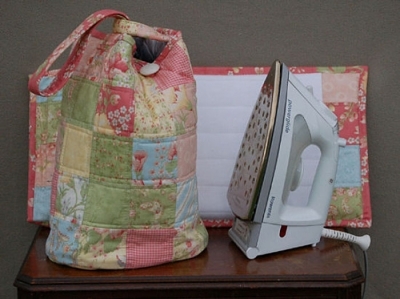 Why not whip up a handy combination hot iron carrier and ironing mat to impress your friends. 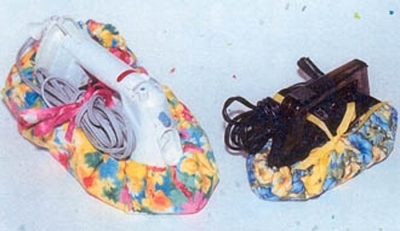 If you need something more compact, the bootie style hot iron covers might just what you’re looking for. 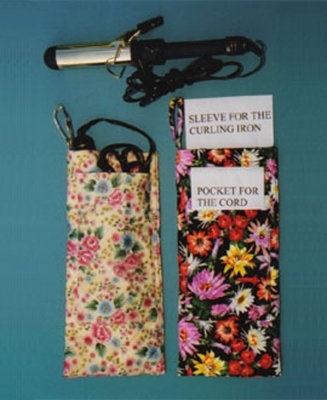 Don’t forget about your hot curling iron! 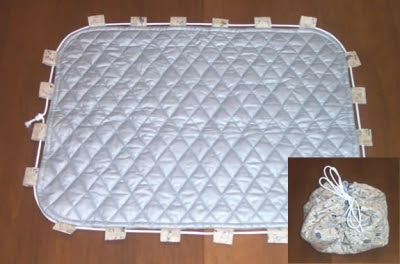 If you want to be the “hottest” guest at the party, make the hostess a handy set of hot pads. They’re a great place to showcase your piecing. 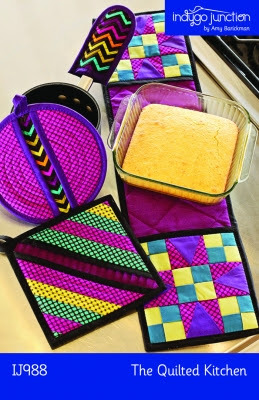 Set includes double ended mitts that become a trivet at the table, 8” square and circular hot mitts, and a hot pot handle cover. Enjoyed the history lesson about irons; great patterns too! I remember my Mom using both the cool handle sad iron and the kerosene one in the ’40s and ’50s. Didn’t realize they were from the 1800s!